The Top Brass Quintet is a Norwich (uk) based Orchestral Brass Quintet formed in 1998 from orchestral brass musicians in Norfolk. 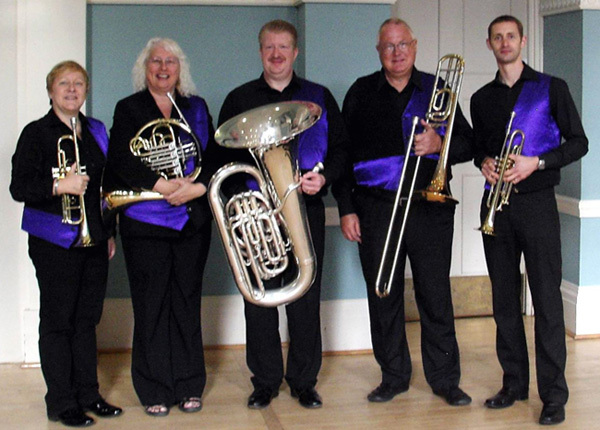 Top Brass regularly performs to diverse audiences throughout Norfolk and Suffolk. From providing a atmospheric wedding service accompanyment, to an entire evening of brass magic; the Top Brass Quintet certainly makes its mark. So go on, be as bold as brass, book the Top Brass Quintet for your event today.